I really enjoy reading your newsletter and the information in it is very informative. My husband and I have been traveling all over Mexico for the last 3 years and really love the country!! We feel much safer there than we do in the US!! It’s funny because of all the bad press people hear about Mexico a lot of people won’t even consider going there for a vacation. To us that’s really sad because as you know Mexico is a big country and one just needs to stay out of certain areas like you would stay out of certain cities in the US. That being said we have never been to Guatemala and are interested in checking it out. Of course as you know it seems to get worst reviews in the area of safety than Mexico. I’ve heard that violence is increasing there… Do you know if that’s true or not? What we are really doing in our travels is looking for a place to retire. My question is would you guys live there? Another country we interested in is Nicaragua. Have you guys ever been there? Thanks for taking the time to write and to let us know that you have been enjoying our newsletters. We appreciate that! We, too, feel that Mexico is a safe country over all, and that, yes, there are some locations one could avoid to stay out of trouble, which is similar to the States, of course. Regarding safety in Guatemala — we have been living here off and on for about 5 years now. 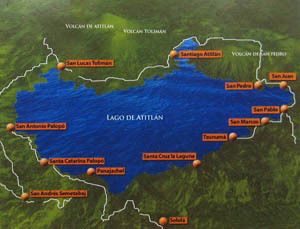 While we have seen lots of different locations in Guatemala, we generally stay either in Antigua or at Lake Atitlan. 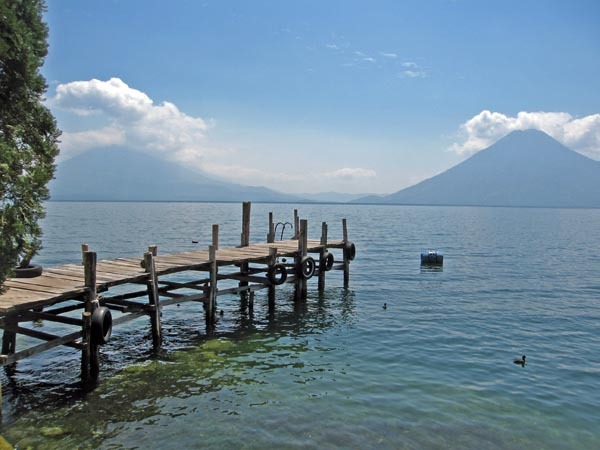 We think that Guatemala is one of the best kept secrets in terms of a place to retire. The weather is very good (rainy season and dry/windy season), people are friendly, the cost of living is affordable, and there is good medical care available in Antigua, Xela and Lake Atitlan, with some of the best being in Guatemala City. Let me just say that Guatemala City is considered dangerous and we only go there for medical care if necessary and we utilize a personal driver to take us there and back. But Antigua and the Lake area is very calm. We had no problems at all in Xela, Tikal, Flores or traveling in between them. Take a look at our Guatemala Travel and Information page and I would certainly recommend reading our Guatemala Guide before you come down here. There is a thriving expat community in the colonial city of Antigua and a funky and fun expat community here around the lake. We have not yet been to Nicaragua, although we tried making it there last year. Hopefully we will get there at some point. Feel free to write any time with questions. We are happy to recommend things to you or to answer your questions. This entry was posted in Q & A From our Readers, Travel Tips and Insight and tagged daily life, International Experts, retirement planning, Travel. Bookmark the permalink.